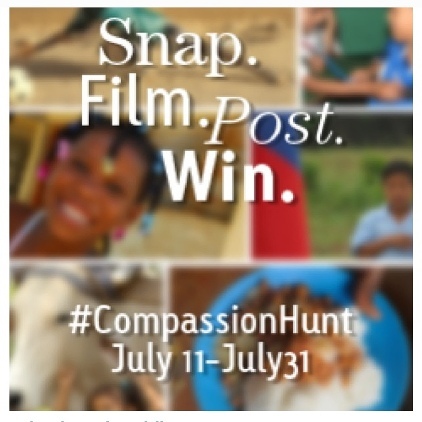 Compassion International is celebrating their 2nd anniversary on Instagram with a photo scavenger hunt, complete with prizes including five Compassion t-shirts, a ResQrags t-shirt, two stainless steel Compassion mugs, one Compassion messenger bag, a copy of A Place at the Table by Chris Seay and a $25 gift for your sponsored child. The contest runs today through the end of July, and it looks like a lot of fun for anyone who likes taking pictures as well as video! :: Want to enter? Get all the contest details over at Compassion’s Blog.